On March 30, La Botanica hosted Afropunk in The Pit, presented by Xingonas in The Pit! ; leaders of the San Antonio-based decolonial feminist punk collective. After Xingonas in The Pit! 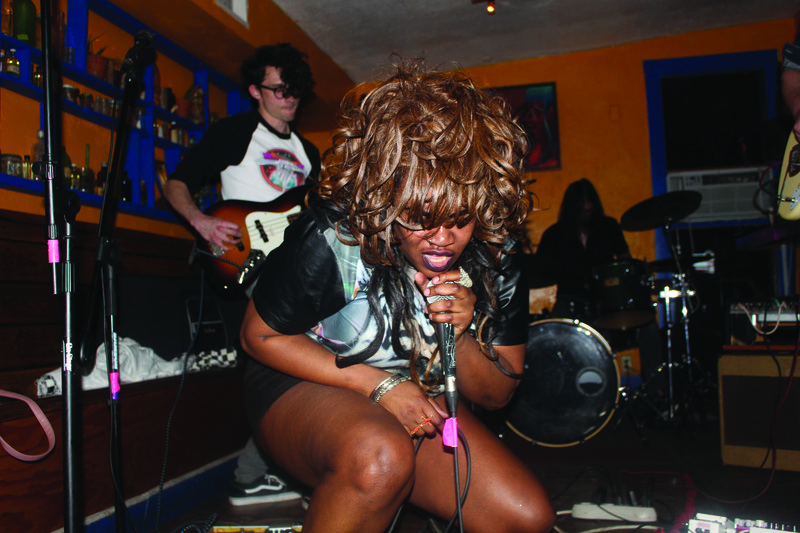 organized Texas’ first “Black and Brown Punk Fest TX” in October 2018, the Afropunk in the Pit event provided a creative and safe space for people of color (POC) to celebrate blackness and punk music in San Antonio. Guest dances without a care. Vendors, musicians, local activists and members of the queer and non-conforming punk community came out to support the event that featured a screening of the groundbreaking film “Afro-Punk”; screened over 400 times in both Canada and the U.S. The screening was followed by an artist talk with the director of the film, James Spooner. The “Afro-Punk” film, documented in 2003, captured black members of the punk scene and their experiences in a predominantly white genre of music. “I felt the need to make a film that could tell the 14-year-old me that it was okay to be a black person in the punk scene. Once I saw the power of the film and how it was mobilizing people, I thought, okay maybe there can be a black punk scene. The things that I learned and the audacity that I’ve gained from the punk scene, I can now share with the black community,” Spooner said. Sign laying down the ground rules. The artist line-up included musical performances by well-renowned punk bands from across Texas including BLXPLTN (Austin,TX) , Pleasure Venom (Austin,TX), Ojos (Houston,TX), After Dinosaurs (Arlington,TX) and Mercutio and the Constantines (Houston, TX). The event opened with a welcome from Crystal, Jazzmin Readeux and Daisy Salinas, the leaders of the Xingonias in the Pit. The introduction made clear that Afropunk in the Pit was a safe space for POCs and non-conforming folks to share ideas and art denouncing any possible form of discrimination or hatred. 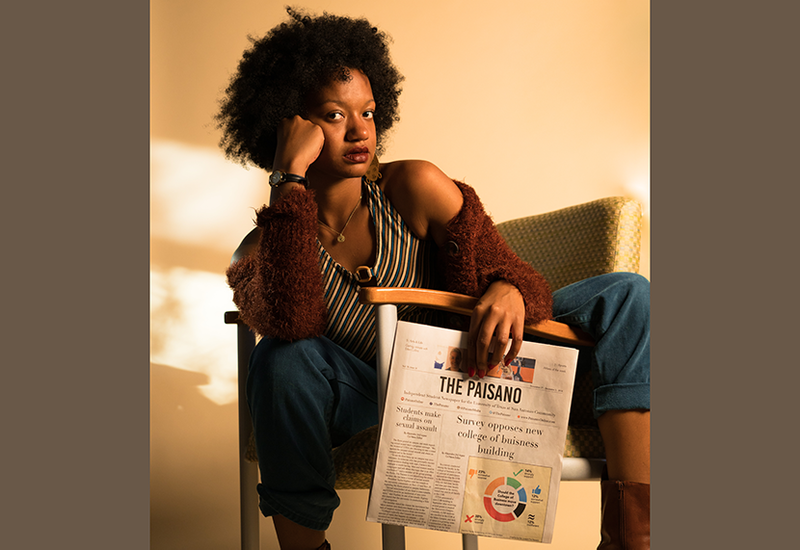 In an exclusive interview with The Paisano, Audrey Campbell, the lead singer of experimental punk band, Pleasure Venom, explained what it meant to perform at the Afropunk fest. 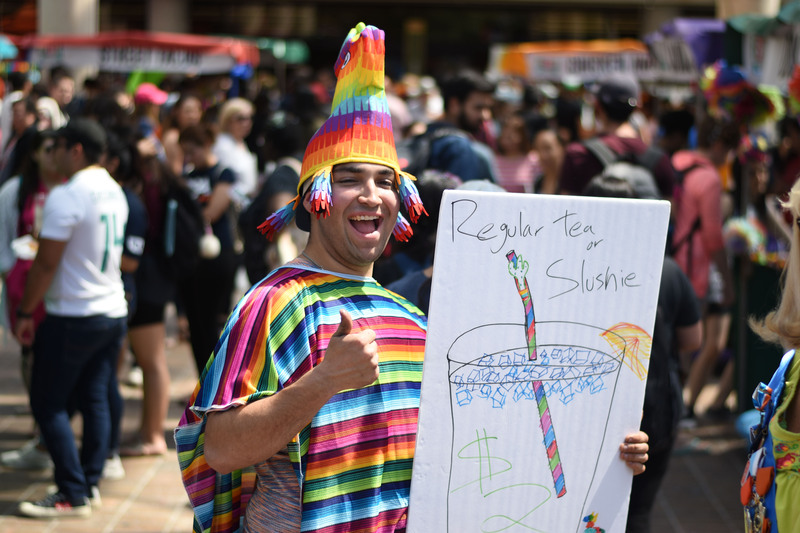 “I always love doing things like this; seeing people of color, queer people and women coming together. It’s nice knowing other brown people that get it instead of feeling isolated; I never see this many brown people or queer people of color in one room. I think it’s important, I think it’s necessary and I think it means a lot to me,” Campbell said. Showgoers jammed out as Pleasure Venom performed “Hive”, “I Can’t Find My Black Lipstick” and “Eddy”; a few fan favorites off of their latest EP. “It’s okay for you to be queer or black or non-bianary, it shouldn’t mean that something bad should happen to you just because you’re causing a ruckus. Disrupting the system right now might be necessary, and with us being quiet nothing is going to happen,” Campbell said. Daisy Salinas closes out the event thanking all attendees. Pleasure Venom’s Tour continues in May opening for Garbage in Houston,Texas; New Orleans, Louisiana; San Antonio,Texas; Denver, Colorado and Albuquerque, New Mexico. Afropunk in the Pit called for the decolonization of punk music and the recognition of Afropunk as a means of a creative outlet for black rage. Vendors comprised of POC stimulated conversation about marginalized blackness within the genre of punk music and how the support that radiated off of the community that attended the event did more than decolonize punk music; it simultaneously re-created and disrupted the entire space.